When looking up at the blue sky many people wonder why the sky is blue. As a matter of face, it has been pondered for a long time and actually took quite a while to figure out. Although the sun looks white when looked at in the earths atmosphere, it actually consists of all the colors from the rainbow. 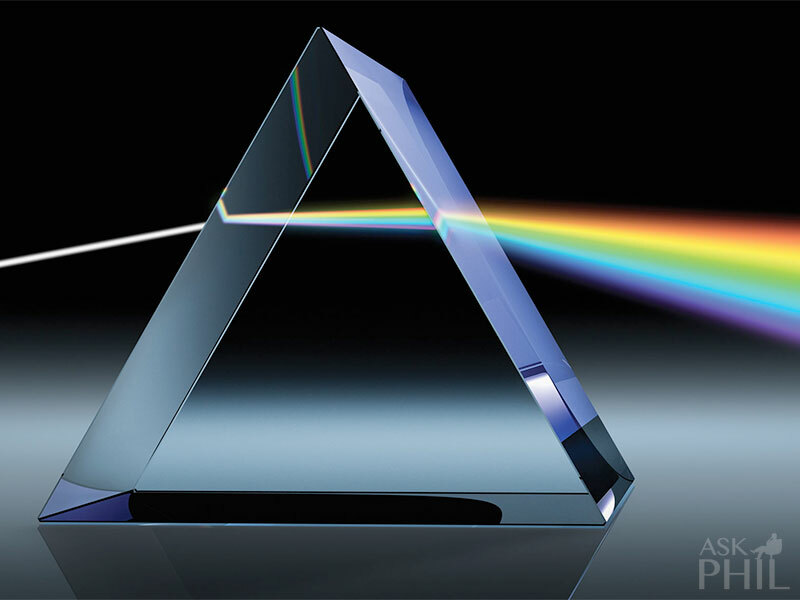 A prism is a special shape of crystal that when white light shines through it the light gets separated into all of it’s colors. Light is energy that beams around the entire universe, and like the energy waves in the ocean, light also travels in waves. 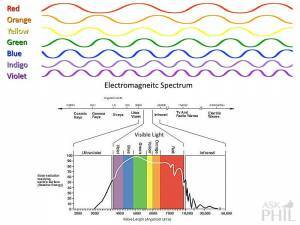 Some of the light travels in short and choppy waves, where other light travels in long and more even waves. For example, blue light waves are shorter than those of red light waves. 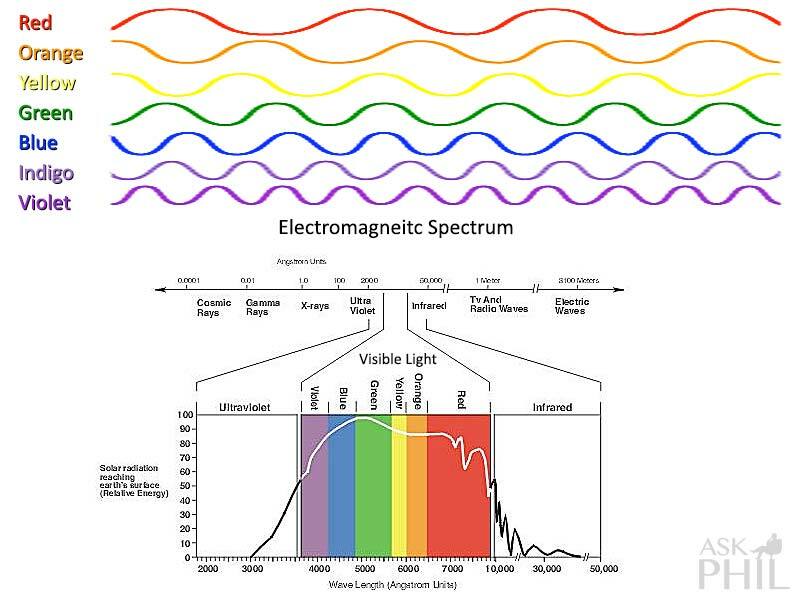 Each color of light waves have different wavelengths in which they travel. Light travels in a straight line unless something interferes with it, for instance, a mirror reflects light, a prism or gravity bends light, and molecules like those in the gasses of the Earth’s atmosphere scatter it. 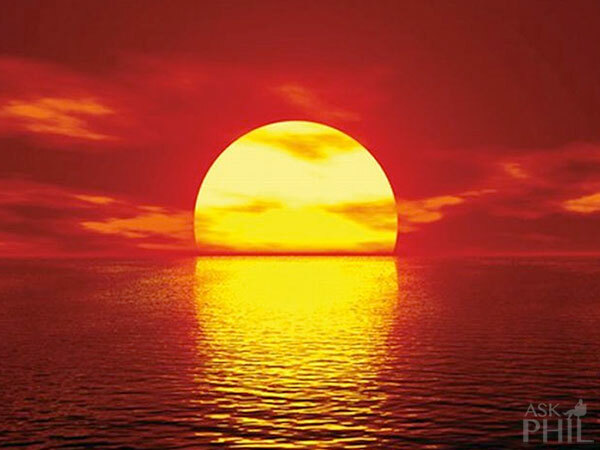 When the light from the sun reaches Earth’s atmosphere is gets scattered in all directions from the particles and gasses in the air. The blue light gets scattered more in the atmosphere than others because the blue light waves travels in shorter, smaller waves, which is why the blue sky is what is seen most of the time. As the sun gets closer to the horizon, the blue sky fades to a lighter blue or even white. This is because the light from the sun low in the sky has to pass through even more air and all those additional air molecules scatter and re-scatter the blue light many times and in many different directions. In addition to the light molecules, the Earth’s surface reflects and scatters the light, making the colors mix again creating more white than blue. 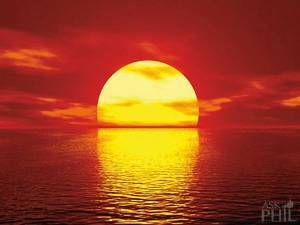 Why are some sunsets red? Since the light of the sun has to pass through much more atmosphere when it’s low on the horizon, it gets much more scattered. This scatters the blue light even more which allows the red and yellow light to pass through. When it appears that the whole Western sky seems to glow it’s from the larger particles of pollution, dust and water vapor in the atmosphere which reflect and scatter even more of the red and yellow light waves.